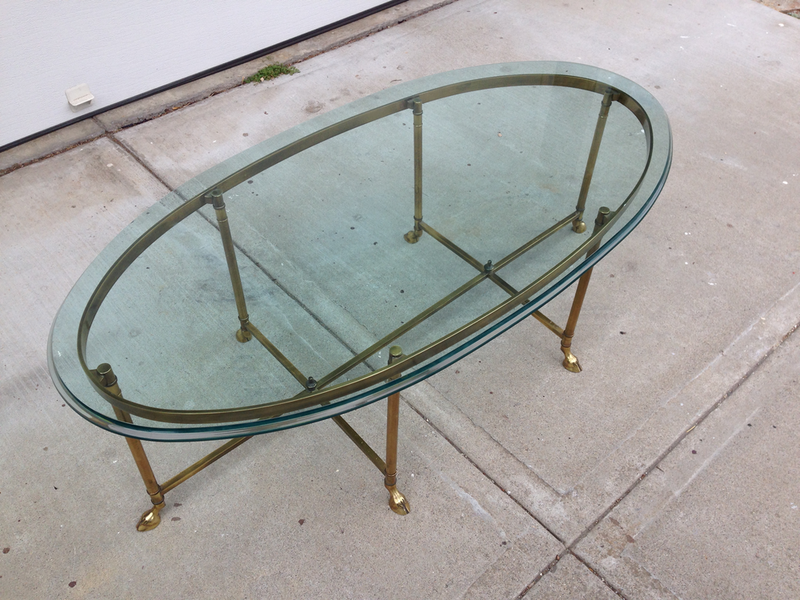 Stylish Hollywood Regency La Barge oval coffee table, circa 1980's. 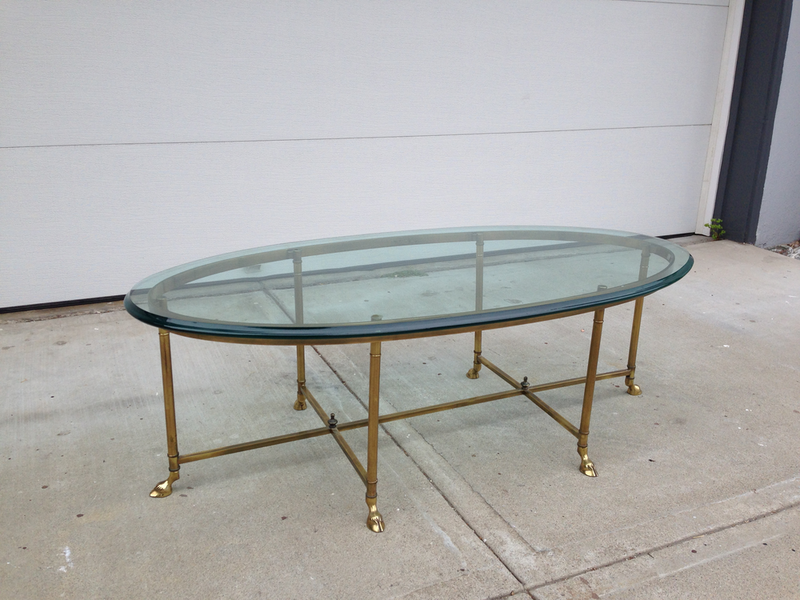 One inch thick glass top has a 1 inch wide bevel. Base with sculpted hoove feet is solid brass.